From somewhere deeper than the unconscious, something stirs. Whatever it is, its shifting is eternal, as ancient and restless as the churning galaxies. You have always felt its presence when you are still, which is precisely why you keep yourself distracted with trivialities. It cannot be named because words are now merely the primitive tools of an insignificant context. Much like dreams, these stories do not pretend to answer our gravest questions – they only invite consciousness beneath that mantle above which the waking mind finds tenuous asylum. Do not outstretch your hand for guidance, because no-one else can explore here but you. In this indefinable space, even the assumption of your own being must be called into question. 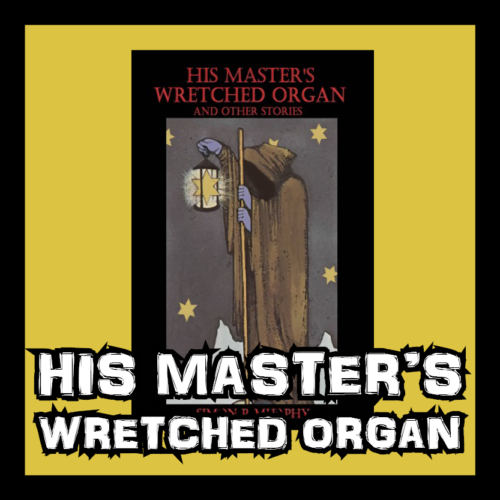 His Master’s Wretched Organ is a collection of short stories that probe themes of disconnection, self-inquiry, spiritual ascendancy, awe and horror. New Zealand readers can buy a paperback copy of His Master’s Wretched Organ from TradeMe HERE. International readers can buy a paperback copy of His Master’s Wretched Organ from Amazon HERE. New Zealand and International readers can buy a Kindle copy of His Master’s Wretched Organ from Amazon HERE.